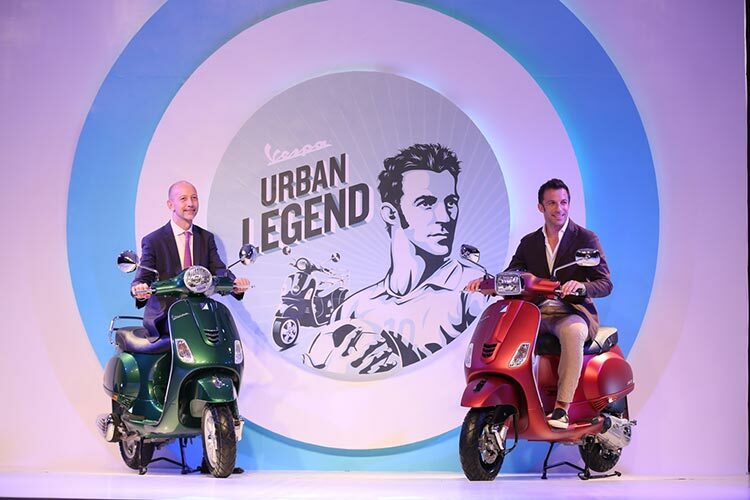 Piaggio, Italian manufacturer’s popular Vespa has expanded its product offering in India and showcased its most powerful 150cc range of scooters during an exclusive lifestyle event in the city of Mumbai. The company claims that through its unique design and cutting edge technology, Vespa has changed the way people move around and inspires freedom of mind. 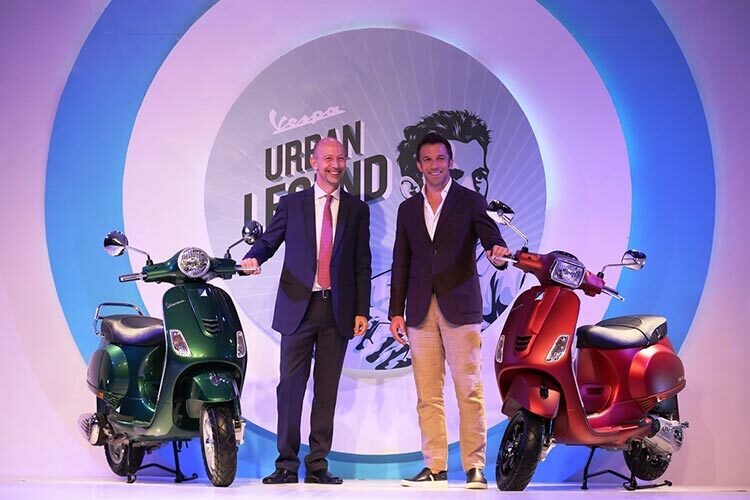 Vespa’s global brand ambassador Alessandro Del Piero, unveiled the brand’s new 150cc range and launched the “Vespa for Children/ Del Piero version” programme for a charity auction, under the umbrella Piaggio Group charity “Vespa for Children”. During the evening, a Vespa signed by the soccer star was also auctioned. This all new Vespa SXL and Vespa VXL rides on a very powerful 150cc, 3 valve engine that delivers excellent performances. These scooters are also available in a very efficient 125 cc, 3 valve engines. The Vespa new range sports a pretty new look and has been loaded with features like digital instrument console, 11 inch front alloy wheel, broader tubeless tyres, front disc brake, single piece monocoque steel body and more. In India, the reputation of Vespa is a clear demonstration that the Italian values and spirit are making their way through very successfully. Similarly, Italian football and Alessandro Del Piero are able to attract millions of Indian fans, amuse their lives and make their free time more exciting and enjoyable. Vespa is a great Italian icon and has a lot in common with football: it is well-known everywhere, it brings attraction and friendship, it makes you feel good and young, it’s cheerful and fun. As an Italian I feel proud every time I see a Vespa around the world, a scooter that I have used since I was a boy. India is simply an extraordinary country, almost a second home for Vespa after Italy.